But what if the reason isn’t nutrition — it’s because a new competitor is stealing away business? 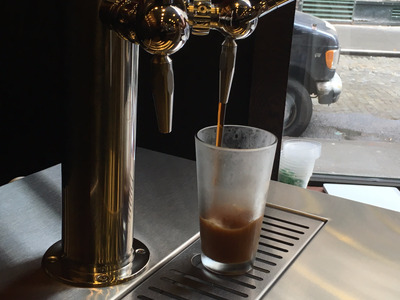 “Starbucks has taken the [carbonated soda] occasion,” said RBC analyst Nik Modi in June at Beverage Digest’s Future Smarts conference, noting that many of the coffee chain’s beverages are more caloric and sugar-packed than top soda brands. In 1995, Starbucks served its first Frappuccino — a super-sugary beverage that often has more calories than a can of Coke and that has become a huge part of the coffee chain’s business. At the time, the chain had 677 locations. Twenty-one years later, the chain has more than 22,000 locations around the world. Modi says that consumers still love caffeine, bubbles, and sugar. They just aren’t going to Coke and Pepsi to fulfil those needs any more. In the past 15 years, single-serve bottled-water sales grew 76% by volume. Sports drinks grew 20%, while bottled, ready-to-drink tea grew a whopping 91%. 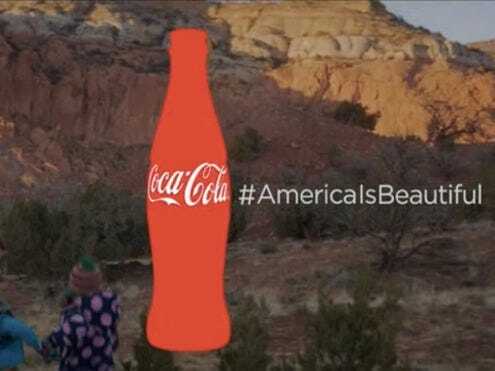 In the last four years, standouts in the soda industry have been Sprite, Wild Cherry Pepsi, Fanta, and Mello Yello — brands that aren’t necessarily healthy, but that avoid the negative PR associated with Pepsi and Coke. The success of these beverages, as well as Starbucks’ drinks, such as the S’mores Frappuccino and the Pumpkin Spice Latte, prove, in Modi’s opinion, that the issue isn’t sugar — it’s marketing. Coca-ColaModi argued that much of Coca-Cola’s recent advertising hasn’t focused on the consumer. “Soda follows tobacco’s playbook to the letter,” Marion Nestle, a professor of nutrition, food studies, and public health at New York University, told Business Insider. This negative PR, combined with what Modi considers sub-par marketing, has helped drive consumers to different beverages to fulfil their morning caffeination and mid-afternoon break needs. 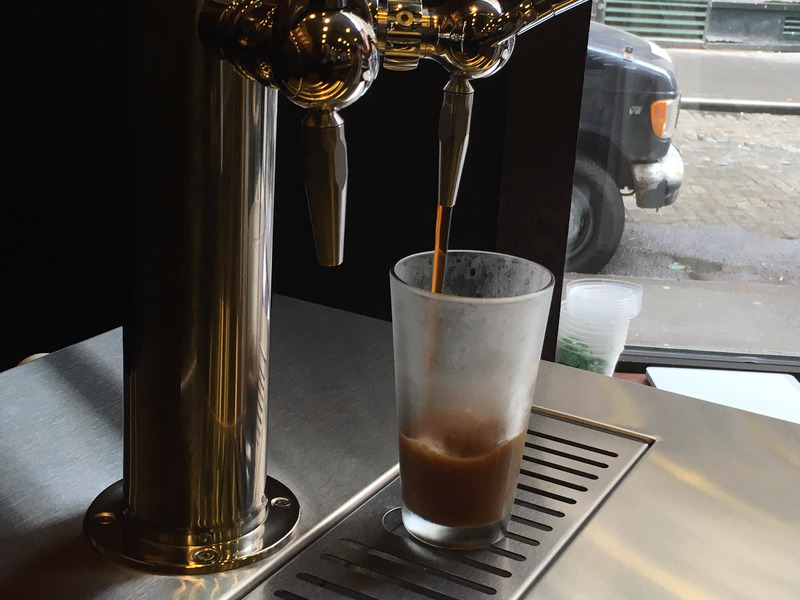 Kate TaylorStarbucks has drawn in coffee snobs with beverages like Cold Brew Nitro. Starbucks is a company that is acutely aware of consumer perceptions, carefully balancing its menu with both gourmet, coffee-snob approved beverages and sweet, sugary options to appease all customers. This, combined with the company’s famously progressive attitude, has helped the chain avoid much of the backlash associated with other companies selling sweet drinks. PepsiCo and Coca-Cola seem to be taking notes from the chain when it comes to diversification of beverages. Coke announced in April that sales of noncarbonated “still” beverages, including water and Minute Maid, had increased 7%. Its packaged-water volume increased in the double digits in the first quarter of 2016, as did other healthier, ready-to-drink options, like sports drinks (7%) and tea (2%). Starbucks has exploded in the last 20 years — and is showing no sign of slowing. If PepsiCo and Coca-Cola want to compete, they’re going to have to invest in beverages of their own that fulfil customers’ needs, like bottled water, energy drinks, and tea.